It gives me great pleasure to introduce myself. 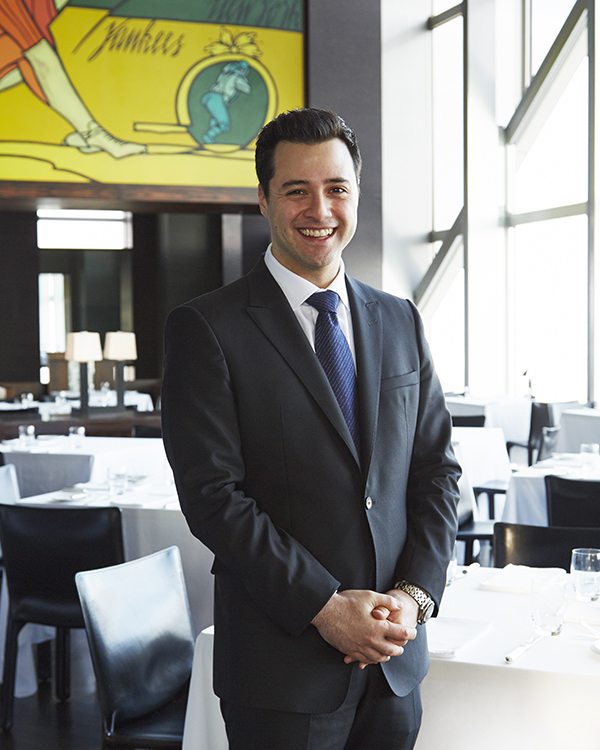 My name is Moritz Kam and I am grateful to become part of your experience at our beautiful New York Grill & Bar. To describe myself in a few words, I am of German nationality with a Malaysian mix from my father’s side. With that being said, it is clear that I am worldly with a natural thrive to travel. Apart from growing up in a beautiful town called Mainz in Germany, my amazing life journey has brought me to Switzerland, USA as well as China. I simply perceive that the beauty of life is to be enriched by all the different cultures that we come across. Naturally I am very excited to learn more about the cultural beauty of Japan and Tokyo. When it comes to culture there are several facets that I find myself usually praising with words such as “wow”, “mind-blowing” or “amazing”. On the one hand I profoundly treasure music and therefore I am being graciously treated at New York Bar every night with its jazz. I love all jazz music but my favorites here are Sammy Nestico, Gordon Goodwin and Michael Bublé. I believe that that by drinking and eating we are not only nurturing our bodies, but with doing so we are also experiencing another facet of a culture. The Chef is thereby the author, the composer, the artist and the organizer. My favorite dining experiences comprise of just the simple things that are done to bring perfection to the dish so that we can truly grasp the authenticity of culture in the food. I wish to thank my mother for bringing me the purest joy of treasuring her butternut pumpkin soup with a hint of cinnamon that she perfectly prepares in late autumn. I wish to invite you to not only treasure the qualities of our premium beef selection whether it is American or Japanese but to also share a memorable dining experience set in a great ambience above the beautiful streets of Tokyo.